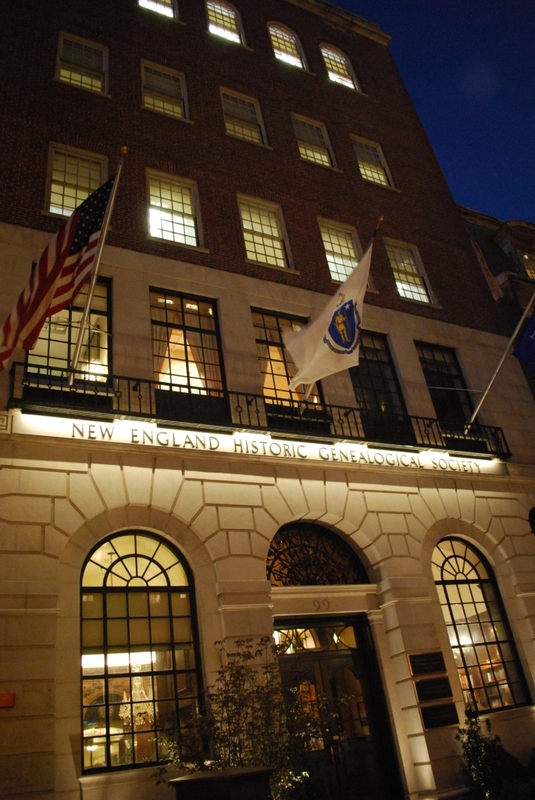 Back in February, Vita Brevis began posting a series of guides to using the NEHGS collection here in Boston and remotely at home. For ease of reference, I have collected them here, with short excerpts from the articles themselves. Anne Meringolo began the series: Have you wished that you could use NEHGS library resources from home? Have you wondered where to find copies of genealogies online? You can do this by starting with the NEHGS library catalog.Staff and dedicated volunteers have been working to add links to freely available e-books as well as to genealogies and items from our manuscript and book collections for members to use. Start with a search in the library catalog on your topic and you will find all the resources we have here in the library. But if you then modify your search to items online you’ll see things you can use when you’re not here with us on Newbury Street. 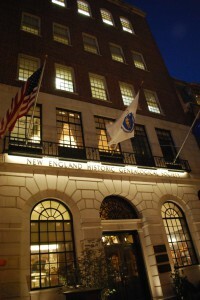 Judi Garner wrote about the Records of the Hebrew Immigrant Aid Society (HIAS), now held by the American Jewish Historical Society, New England Archives, and housed at NEHGS: The Boston office of HIAS was chartered in 1904 and operated autonomously from the national office in New York, even after their merger in 1916. HIAS assisted Jewish immigrants coming into the Port of Boston, and those seeking to help family members in Europe, especially during and just after World War II. Tim Salls’ introduction to Manuscripts at the New England Historic Genealogical Society described the Society’s extensive collection of manuscripts dedicated to genealogical and local history material. Filling more than 5,000 feet of shelving and containing over 28 million individual items (some of which date back to the fourteenth century), this collection, known as the R. Stanton Avery Special Collections, offers members an incredible repository of information. Emily Baldoni’s post on the NEHGS Digital Library and Archive described a growing collection of family histories, covering a wide range of subjects and surnames. Roughly three quarters of the 137 titles currently in the collection are older books from the stacks of the NEHGS Library – usually published before 1923, and now free from copyright restrictions – which have been digitized and put online. Sam Sturgis’s July posts close the series for now. The first focused on searching journals at AmericanAncestors.org: Journals may be searched by first and last name, and also by article title keywords. When searching a journal, be aware that the year range fields apply to the year of publication, not the year of an event, so these fields are best left blank. Also, specifying a location when searching journals will produce no results at all. Twist #1 is that first names (which can include middle names and initials as well as maiden names) are searched with an ‘any match’ algorithm. Twist #2 involves the use of ‘wildcards.’ A search wildcard is a special character that represents any single character (a question mark, or ‘?’) or a sequence of any characters (an asterisk, or ‘*’). Keep checking Vita Brevis, as blog posts offering more strategies for using the NEHGS collections are in the pipeline! I joined NEHGS over the weekend and I tried six known ancestors who were in the MA Bay Colony and had landed between 1620 and 1690 and some who were born and died between 1750 and 1840 and none of their names showed up in the searches. These people were not indentured servants but well known families with money and positions within their communities. I was very disappointed with no results and feel it was an expensive ‘search’ so I hope others have better luck than I did. That is indeed disappointing, but stick with it. Remember that there are nearly 40,000 couples who married in New England before 1700 alone, so it takes a while to get them all covered! New material is put up nearly every day. If you post some of your names here, there may be readers who could give you clues about where to look. All these resources at our fingertips make searching a pleasure, but nothing equals the old pleasure of getting a box of books, being able to thumb thru at ones leisure and finding, serendipitously, bits of information. I worry about students who only use the computer to research as a walk thru the stacks is a learning experience of its own. Haven’t been a member for awhile now (money is always a problem) but hope to be back shortly. I think most of my searching will now be online as mobility is a problem. Please tell mmmmikki not to get discouraged. There is a wealth of information to cover here and a quick runthrough will not always produce info but continued research is always beneficial. I miss going through the volumes but will have to be happy online from now on. Thanks for a great resource.